A question that is often submitted to me is whether or not the PSDCovers Actions will run properly on Photoshop Elements. They won’t. I personally run both OS X and Windows hardware but I generally do all the documentation and any video tutorials on the Mac, this leads some people to think that the Actions are Mac only. This is false. Actions are for the most part just plain text files, there is some encoding which is specific to Photoshop but that’s all. Photoshop itself handles the parcing of the atn files (actions) which means anyone on Mac or Windows can run the Actions from this site. When I first started psdcovers.com the Actions were made with CS3, and for the most part they seem to still work fine. However, I upgraded to CS4 Extended and then CS5 and higher. The Actions on this site are compatible with CS4 through CC — while some or all of the Actions may work with CS3 there is no support for this version of Photoshop. 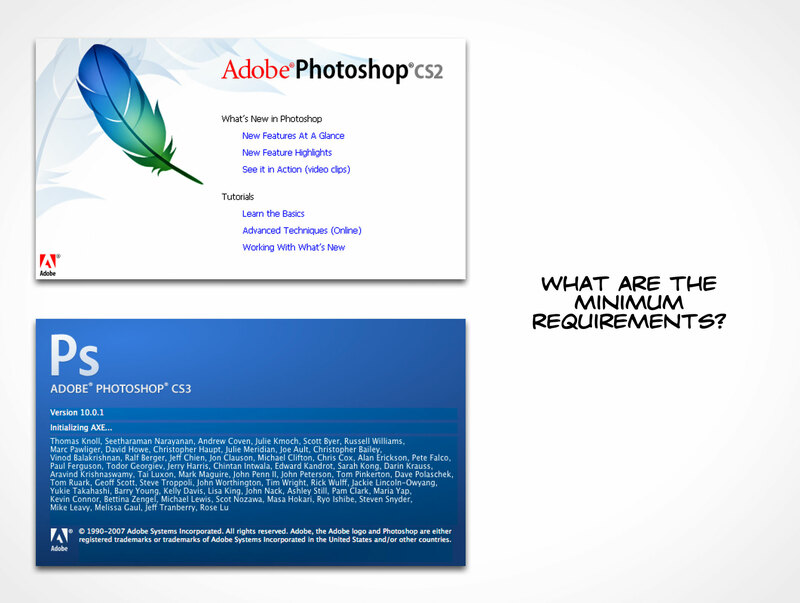 If you are running Photoshop Elements, 7, CS or CS2 please note that the Actions will not work at all in these versions — they simply lack the features required to properly execute the Action successfully.